You are here: Home > Tutorials > SEO & Marketing > Email Marketing Tips: How to Make Your Email Marketing Stand Out? Emailing is one of the very first ways of digital marketing techniques that the companies took up when they realized the usefulness of internet. It has also been among the most regular ones throughout the years. 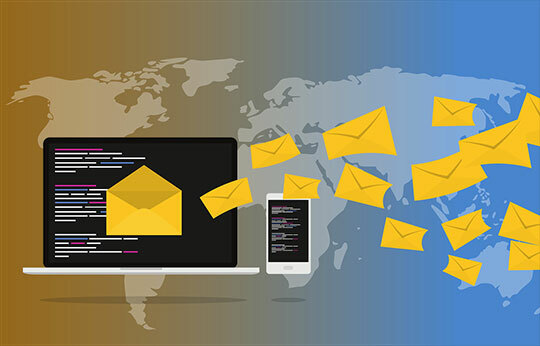 But the problem with email marketing is that the users at the receiving end probably get around hundred messages in a day, among which some are important and official, but most are other people trying to do the same thing as you – get the person’s attention via an email. So what will make your email stand out among this whole lot of clutter in the inbox? It is not an easy answer to give in a sentence. So here we have listed some useful tips which will hopefully help you make your email marketing stand out in the crowd. The most important aspect of email marketing is the subject line. This will literally make or break the rest of your effort. It should not say anything which is too good to be true – then the receiver will overlook it as a spam, and it most certainly cannot be anything bland. Striking the right balance in your manner of writing the subject is of utmost importance. Write in a crisp approach with lucid vocabulary the basic purpose of your mail. Do not be ambiguous at all. If a customer is not keen on exploring at the moment, you might lose out on a potential customer. The image above shows some compact, to the point subject lines on different product types for email marketing to give you an idea. You want to engage the customer not shoo them away. And that is exactly what will happen if you bombard them with too many emails. Worst case scenario – they will unsubscribe from the emails and mark your address as spam. You definitely do not want that to happen. So, maintain a healthy frequency of sending the mail. The one that will keep your name in the customer’s mind but not as an annoying spammer. One or two emails a week, three maybe if there is an extended weekend – that is acceptable. More than that might not give you a good reputation. 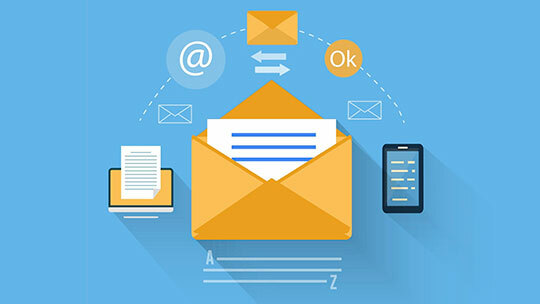 Recommended for you: Email Marketing: A Guide to Successful Email Deliverability. The last point brings us to the discussion of when should you send the mail. Whoever your target audience is, chances are they remain busy for the day at work and tired in the night at home. You cannot expect them to pay attention to your mail when their boss has given them a deadline or they are having dinner with family. So picking your day and time is important. Pick the off-peak hours and the weekends as your email marketing day. If there is a holiday in the middle of the week, take advantage of it and send the mail away – you might just be in luck. If there is a sale or contest that you want to announce, send the first mail at least a fortnight back. Unless it is a work-related email where attachments need to be downloaded to the computer, most people check emails and reply to them via smartphone. It is easier and a way more sensible thing to do. So if your email cannot be opened on any platform, it a trouble for you. Make sure your email is accessible on all devices and platforms. You must remember to customize your email as well. As shown in the picture, if your subject line is too long for an average smartphone screen, the receiver cannot read it fully. So along with explaining your point, you have to keep in mind its size too. Smartphones also flash a preview of the first one line just below the subject line, you can see in the picture. So you also have to get to the point real quick to grab the customer’s attention. Nothing beats good content in marketing. If your content is good, then once the customer has clicked on your mail, you have their attention. If the content is bad, you might lose out on customers even after they showed initial interest. So make sure that the written text of your mail contains all the aspects you want to incorporate – excitement, humor, quirk, promotion, call to action – and they express accurately what you want to tell them. Put in images if needed, but they need to be mobile, tablet and PC friendly. Attach links to your website, drop in coupon codes, embed video links – whatever you think is suitable, do it. You may also like: The Value of Business Marketing Via Local and Business Directories. In old days, when we used to write letters, P.S. meant something that the writer forgot to or could not include in the main text. But more often than not, that part stuck with us the most. Now P.S. has become a legit marketing strategy using the same psychological trait – we remember the P.S. Leave an important piece of information – a date, an offer, a certain condition – all in the P.S. You might even use a call to action strategy here. It is not compulsory you do it, but studies have certainly proven it that people do keep in mind what you say down there at the end. Here the receiving customer is getting a direct call to action invitation in the P.S. If you are sending on behalf of your own company or endorsing someone else’s and that is mentioned in the address line, still your signature bears its own weight. The designation of your post, whatever it might be, when mentioned, gives the whole message of the email an extra bit of importance in the customer’s mind. Alternatively, here is the list of blogger outreach tools that you can use to earn backlinks or make connections. Trust me, it’s worth investing time in making connections with high-quality bloggers that can be helpful over and over again. Whether you will get the customer or not nobody can really say. But following these little tips will make your email marketing campaign a better one and improve your chances. This article is written by Anil Parmar. He is the co-founder of Glorywebs that help clients with services like mobile apps, IoT, AngularJS, NodeJS and email template design services. Mobile apps, themes, and plugins they develop have a common #1 goal, keep it as simple as possible for technical as well as non-tech geeks. You can find him on Twitter. 5 Email Marketing Techniques that Really Work! Amazing article, Souvik! This will help marketers strategize their email marketing effectively. There are a lot of email marketing tools that could help you out to make your work easier and get better results. Tried Boomerang before for our email campaign and it’s good. Also, MailChimp – efficient and effective. Actually, I have started a blog a few months ago and now I am planning to start email marketing and don’t know about anything. So I have started to search for this and land on your blog and really your this article gave me a good knowledge about email marketing. 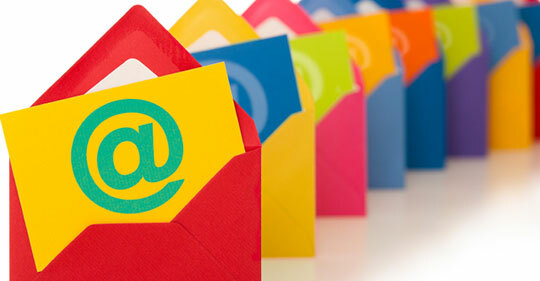 One thing which I want to ask you that which email marketing service is best? There are many good email marketing services. The best is depends on your needs. You need to check which one suits your needs. We use MailChimp on our site because their features are fulfilling our current needs. Thank you so much for your response. I have checked MailChimp website and the best thing is that they offer New Business plan for free Up to 2,000 subscribers and 12,000 emails per month.